In Japanese culture, the sakura (桜) or cherry blossom is a beloved symbol of hope. The wedding of Sock and Jake this past weekend, truly embodied all that the delicate flower represents. An event unlike any other, the joining of two cultures created one of Pierpont Place’s most beautiful ceremonies yet. The guests were treated to the sounds of a professional harpist and a serenade by two of the couple’s dearest friends. Soft pink and white with a hint of a lavender glow splashed across the room, creating a calming atmosphere for what can often be quite a stressful day. 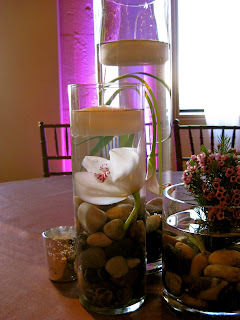 Floating white orchids and pink roses adorned the tables, as guests enjoyed a buffet-style dinner, including homemade sushi by the bride’s family. Twinkle lights cast a glow on the freshly laden snow outside, and cherry blossoms entwined in Manzanita branches acted as the décor for this Japanese-inspired winter affair.